What would you do if you had to design your lover's wedding? Surrounded by lush flowers and neurotic brides, chubby 32-year old Elly Jordan has carved out a sweet little life for herself as the owner of Posies, a boutique wedding florist in St. Louis. It’s not bad for a woman who drove away from her entire life just two years ago when she found her husband entwined with a red-headed artist. Sure, Elly has an embarrassingly beautiful best friend, a terribly behaved sheepdog and a sarcastic assistant who she simply calls “Snarky Teenager”, but overall her days are pleasantly uneventful. As a bonus, her new next door neighbor just happens to be an unnervingly handsome musician who has an eye for curvy Elly. Just when she feels that she is finally moving on from her past, she discovers that an extravagant wedding contract, one that could change her financial future, is more than she bargained for. With the help of her friends, staff and the occasional well-made sandwich, Elly bravely agrees to take on the event that threatens to merge her painful history with her bright new life, and finds herself blooming in a direction she never imagined. Elly’s voice, both charming and hilarious, will appeal to those readers who have been looking for a new voice in chick-lit, and will give women of all sizes the realistic heroine they’ve been waiting for. Elly did something crazy, spur of the moment, and exceptionally brave. She left. After discovering her husband in bed with another woman inside her house, Elly fled, tossed some things into her car, and drove. She drove for a few days and wound up in a suburban town inside a coffee shop. When the barista questions her order of extra whipped cream on her hot chocolate, Elly snaps and with good reason--can't a woman order what she wants? Especially after walking away from her old life to begin all over again somewhere else? Lucily, the woman behind her is on her side and lets Elly know just how inadequate the server is. This gorgeous woman, named Kim, sits with Elly and they become fast friends. And this is how Elly in Bloom begins. The prologue shows us what happened to Elly when her life unraveled. The first chapter is the beginning of her new life. A new town, a new state, a new home and job. Elly decides to go for it and opens a florist shop. Why not? She loves flowers and designing, she just seems to crack under pressure. As Elly tries to embrace her new life, she still has the scars of her life with Aaron, her artist husband, and his betrayal. She lacks confidence in herself, in her body, and in her ability. When she meets her new neighbor, Issac, she is thrilled to be able to feel again. Since she left her old life, Elly has been numb, cries easily, and needs Kim as a support system. Things begin to pan out with Issac and Elly starts to grow comfortable in her own skin. Still, she doesn't fully let go of old prejudices, especially when she won't admit to Issac she named her sheepdog, Cadbury, after a chocolate bar. When Kim announces she is quitting the floral shop, the old pangs strike Elly. Can she run the business without her top designer, especially when she has an extravagant wedding order to fulfill? And when the conflict and drama in her life begins to increase, what will Elly do when she discovers exactly who her client's daughter is marrying? Elly in Bloom features a regular woman--she could easily be me or you. Flawed, lacks confidence, unhappy with her body image, unsure of herself, Elly has a strong voice and draws the reader into her life. With a graceful humor, her view on life has its moments and I laughed frequently at her wry observations and comments. Her attraction to Issac was what she needed and in his own way, he showed her she is a beautiful woman, no matter what the scale says or the voice inside her head remarks on as she gazes into a mirror. With a close group of friends, from Kim to her teen employee, to Keith the deli owner, Elly finds with new friends a new life and a stronger voice--her own. When she is finally able to shake the dead weight from her life (the wedding scene is wonderful and so is her final scene with Issac), this thirty-two year-old woman sees that her place in the world is what she makes of it. Only Elly can make herself happy and with the right type of friends, she is on her way. As much as I liked Elly, there were places where she explained too much which slowed the pacing. I wished Elly said the actual name of her teen employee instead of referring to her as Snarky Teenager, especially since their relationship changes from a work one to friendship. As their bond strengthened, so should Elly's respect to her friend. I liked Kim, Keith, Issac and many of the other characters and this is where author Colleen Oakes truly shined with her characterization. Strong voices and identities, I had no problem recalling each one. I did tire of Elly's crying and her need to lean on Kim for reassurance, but this was all part of her character's journey. I just would have found it more believable if she was younger and not 32. Elly grew on me and I did enjoy her story. I overlooked the grammatical issues and let Elly tell her tale. Her Christmas dinner was an emotional scene, rich with emotions and humor. Elly in Bloom is a tale of one young woman's journey to begin a new life when all she needed was to believe in herself. A new town offered her a chance at happiness and the opportunity to bloom into the person she was truly destined to become. And there's more to come with Elly in Love in 2014. Wonder who her 'love' is? I like the flowers, but it's boring. This is one cover where I would have loved a woman gracing the cover, along with flowers. Colleen Oakes was born in Denver, Colorado to her parents, Ronald and Tricia. She was soon joined by a little sister Cynthia, who she quickly decided was her arch nemesis. When she was in 4th grade at her public elementary school, Colleen told her teacher, Ms. Brown, that she wanted to be a writer. Ms. Brown agreed and began giving her special writing projects. Out of this came the brilliant four page novel, "Why I hate Casey The Most", complete with illustrations. It has yet to be published. She attended Denver Lutheran High School for most of her high school career, where she had the good graces to befriend many wonderful teachers and students and the occasional homeless man. She graduated in 1998 (to Greenday's "Time of Your Life" the anthem of everyone who graduated that year) and continued on to college at Concordia College in Bronxville, NY. In Bronxville, she truly hit her stride, and excelled at art, academics, journalism and having more than two friends. (She had four.) Her junior year she wrote a play entitled "The Problem with Faith" and it was performed at the college over a long Spring weekend. In addition, she wrote frequently for the newspaper and the school's literary journal. She graduated in 2002 with Honors and a membership in the schools Fellows program. In 2001, Colleen met her husband Ryan, a handsome and intimidating Seminary student, while they both worked at Camp Luther, a Lutheran Camp outside of Schyuler, Nebraska. It is still amazing to her that she managed to hook this great guy while being covered in sweat and dead mosquitoes the majority of that summer. They married in the summer of 2003 at that same camp, while a monsoon raged outside. Colleen joined Ryan in St. Louis (the location inspiration for Elly in Bloom) for the remainder of his Seminary years. While he was in school, she worked at several florists and did everything from designing to delivery to closet organizing to driving an owner's grandparents to Wisconsin. After he graduated with his masters, they moved to Colorado, where Ryan was called to a church in North Denver. Colleen opened up a wedding florist out of her home, and they sailed along smoothly for a few years. One day, Colleen opened up a document on her computer that she had written long ago, so long ago that she can't remember exactly when it was for this bio. It was the first chapter of Elly in Bloom, and she decided that it was time to finish the book and begin her career as a novelist, something she had dreamed about for a long time. 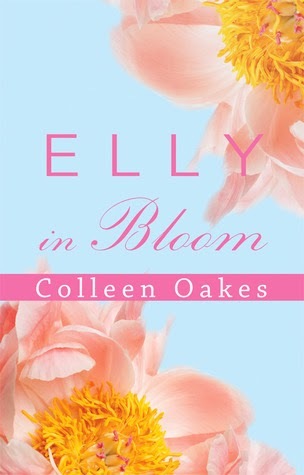 Elly in Bloom debuted in September 2012 via Amazon Publishing. Colleen and Ryan continue to live in North Denver and are awaiting their first child through adoption. They have two naughty dogs and are total pop culture nerds. You can catch Colleen blogging about everything frequently over at The Ranunculus Adventures. 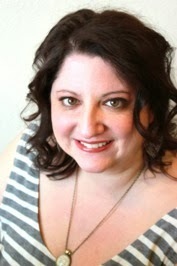 She is currently at work on Elly in Love, the sequel to Elly in Bloom, and an epic fantasy novel.